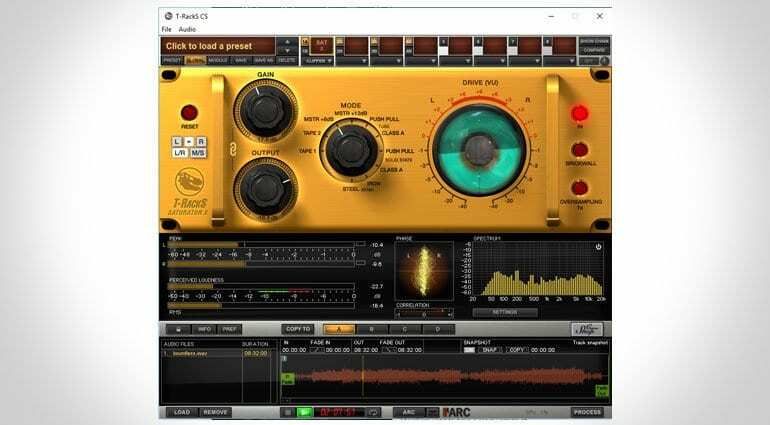 I remember T-Racks as one of the first mastering-style effects to arrive in computer form. It was warm and gaudy then and it’s warm and gaudy now. 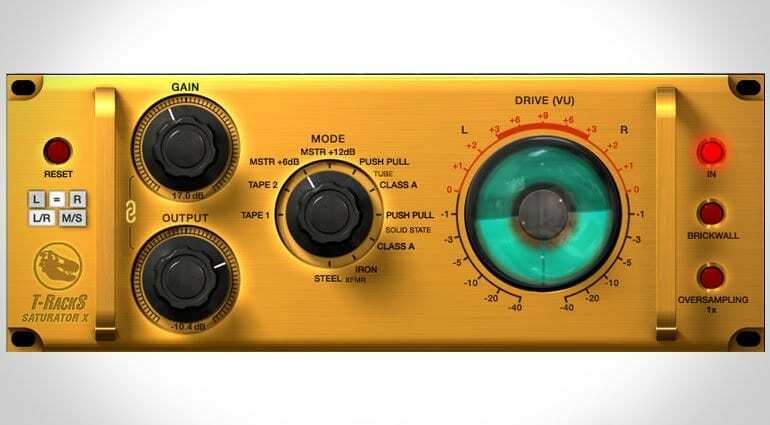 T-Racks has only had a couple of updates over the years but since moving to the “Custom Shop” format IK seem to want to gives us new compressor/limiter thingamabobs to play with a bit more often. The latest addition is the Saturator X, which IK describe as a “digital signal processor module that imparts the color, flavor and saturation effects of classic analog audio processing gear to digital recordings”. Nice. The controls on the Saturator X could not be simpler. You have a mode switch to choose the type of saturation and then a gain and output knob with which you push the signal – that’s it. I immediately love the fact that the gain and output knobs are linked so as you push up the gain the output comes down to keep things under control; it’s probably a bit patronising to most sound engineers but for me it’s very helpful. Thank you, IK. You have a choice of 10 modes which are modelled on classic analog processors, although they don’t tell you which. There are two “Tape” modes, two “Master Soft Saturation” modes, two “Tube”, two “Solid State” and two “Transformer” modes. 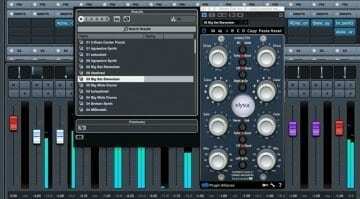 This gives quite a lot of scope in a single plugin and you can feel the sound thicken as you switch between the modes. In the rather squat looking faux rack unit interface the attention is pulled to the “Magic Eye Metering” which pumps quite beautifully in response to the boost in sound. There even appears to be a reflection of studio gear in the rendering of the glass covering the meters – nice touch. T-Racks has always been instantly pleasing to use, although I find that it’s very easy to overcook things with it. The Saturator X though doesn’t make you work hard to find a tone because there’s so little to do – just turn it on and smile at the result. It’s another one of these one-knob plugins which I’m quite fond of. I should also say that I really like the T-Racks stand-alone interface and the metering tools that it offers that don’t appear in the plugin version. I find the “Perceived Loudness” meters and “Spectrum” enormously helpful. Saturator X is available now from the free T-Racks Custom Shop for EUR 79. You can get try it free for 14 days. More information can be found on the Saturator X product page. 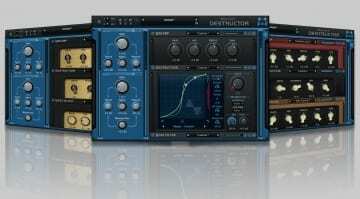 Grab a multi-effect, a saturator, and a drum machine for free!